A link is a signal between two sites that acts as a vote of confidence and relationship between the two. A strong link comes from a topically relevant website that has high authority and value as a result of content, popularity, traffic, and literally hundreds of other factors. 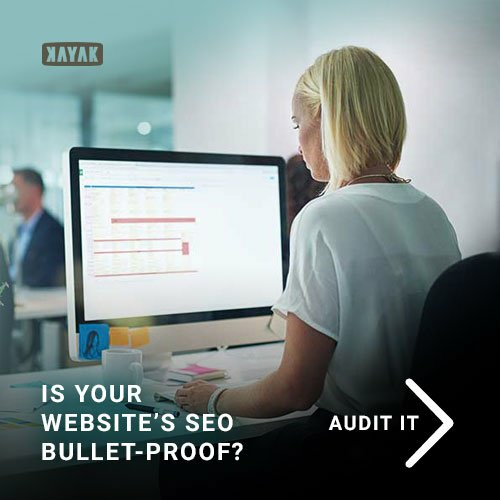 A weak link comes from an unrelated website or one with low authority and value as a result of poor SEO practices, lack of online activity, or spam/malware. Set up a page for your business on popular Local Business Directories. If location-specific, set up a page for your business on the Top Local Citation Sources by Country. Set up a page for your business on the Best Local Citations by Category. Create a Google My Business Page. This will help tie your website to a physical location, which Google uses in its map and search results. If your business is in a single location, link to your home-page. If your business has multiple locations, link to dedicated location pages for each (ie - yourwebsite.com/calgary). If you don’t have a physical location where you serve clients, you cannot set up a local page. TIP: Embed a map into your contact page as another sign to visitors and Google where exactly you are located. Engage with the people on Twitter, Facebook, LinkedIn, etc who you're monitoring. Follow them, retweet them, respond to them, reach out to them, or network with them! Make use of your preferred Social Monitoring tool or set up social monitoring (HubSpot, Hootsuite, Slack, etc...). Not all links are created equal. Make sure that you're earning high-quality links, and not focusing on quantity. High-quality links come from authoritative and relevant websites. Create a "best-of" list or a resources list. Give credit to sources and authors. TIP: Not only might these thought leaders help you write your content, but they'll typically help you promote it! You'll gain new visitors and a new link to your content. Search engines love to see fresh content. Be the first one (or one of the first) to blog about the news, and you'll have the potential to be on the top of searches on the topic! Set up a Google Alert to follow the news of your industry. Include one relevant link per article to useful outside content, especially content from industry thought leaders. While people may leave your site, they’ll also remember you provided them with the good info. Be sure to link text that contains relevant keywords (in a phrase) that you'd like to rank for. An RSS feed provides a simple summary of your blog posts for readers that is constantly updating. If your customers have a "RSS Reader" installed in their browser they can receive updates to your blog by subscribing (clicking the RSS icon on your blog). If you don’t have an RSS feed, add it. Share your content with industry thought leaders and those you've formed relationships with. Promote your content in social media. Write your message and include a link to your content. Including an image in the post can dramatically improve its success on social media - because people are visual creatures. We like the bling. Don't stop at just one tweet, but don’t spam either. Social is meant to be sociable, not broadcasting. Include a “Click to Tweet” link or button in your emails and in content if possible. And join the conversation on websites such as inbound.org and quora.com. If the blog or article’s comment section allows you to post a link to your website along with your name or email, use it - but make sure you link to a relevant content page on your website instead of your homepage. And always use your real name when commenting. Look for quality sites to guest blog for. You should know the site well and be able to vouch for their legitimacy. Those relationships you've built will go a long way here. Include links in the text (as hyperlinked words) that direct readers back to your pages. Partner with another blog to trade writing guest posts. You'll both get the benefit of reaching a new audience and sending links back to your website. TIP: When looking for a site to guest blog for, weed out sites that have too many blog posts (they might be spammy or low-quality) and sites that never have guest blog posts (they probably won't accept your offer of a guest post, so don't waste your time). And the biggest tell of all, no engagement = no fun. TIP: There's a fine line between mutually contributing and swapping blogs with other businesses. Avoid swapping blog posts as it's considered black hat SEO that may affect your Google rankings. best practice to simply contribute for the content and knowledge sharing and let SEO come naturally. Congrats! If you did even 20% of the things I mentioned, you have an opportunity of domainating search engine results. Don't stop! The closer you get to the top, the tighter the horse race. Need a hand with your SEO? 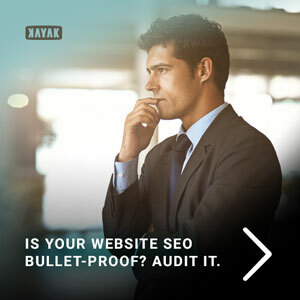 KAYAK is a Certified HubSpot Partner Agency and WordPress fan. We create superior lead capture websites on both platforms.